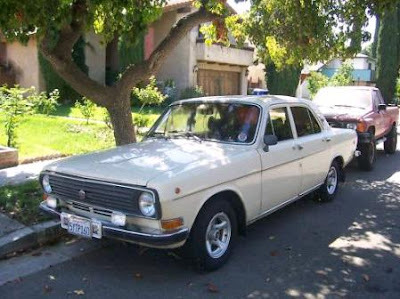 Just A Car Geek: 1971 GAZ-24 - This One Is In The U.S.
1971 GAZ-24 - This One Is In The U.S.
Old Russian cars have always fascinated me. During the Cold War the only photos we saw of Russian cars were of ones that looked like 1950s American sedans. There was always some smug caption underneath the photo that alluded to the car being a new model and how Russia was 20 years behind us in technology. For many, many years most of us believed that. Propaganda is a powerful tool. The truth is that while there were plenty of cars that were 20 years behind in technology, there were also plenty that were relatively modern and up to date. We just didn't get to see them. Imagine what we would have thought of the French automotive industry in the 1960s and 1970s if all we ever saw was the 2CV. Or the Italian industry if all we ever saw was the Fiat 500. Imagine what the world would have thought of us in the 1970s and 1980s if all they ever saw was the Chevette. The GAZ 24 was one of those cars that was not behind the times. It was a modern sedan when it was introduced. The GAZ 24 was developed in the mid - late 1960s. Production was started in 1970. It's styling is in line with virtually every other European sedan of the time. It's boxy and practical. The engine is an all aluminum 2.4 I4 that put out around 100 HP. The transmission is a 4 speed manual with a floor mounted shifter. It has power brakes, a heater, defroster and rear window defroster, a radio, etc., etc. 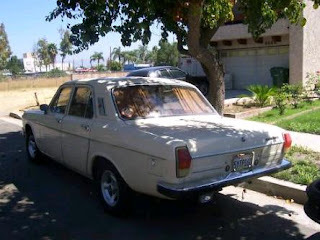 It has just about everything you would find on a similar era Western European or American sedan. It was not an exciting sedan, but it was good, comfortable transportation. Like the majority of the sedans built in the 1960s and 1970s, that was all it was meant to be. This car is located in California. It appears to be in good overall condition. 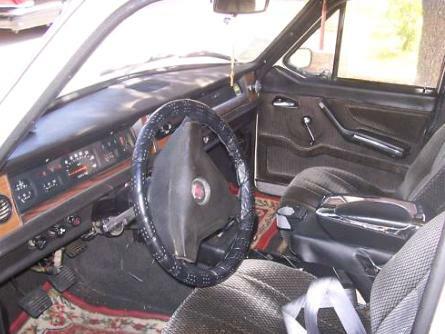 It looks like the interior has been modified. The steering wheel is definitely not the original. The center armrest is an aftermarket item with a cupholder. The seats also look a bit too modern for this car, but I'm not familiar enough with the car to say if they are or are not the original seats. The body appears to be in very good condition. However, Soviet steel was not high quality, the winters can be harsh in parts of Russia and rust prevention techniques were pretty much unknown worldwide at the time. Checking this car for badly done rust repair is a must. Lately I've seen similar cars being offered from the old Soviet Union for insane amounts of money. While these cars are extremely rare in North America, they are not extremely valuable. This auction has a reserve, but as I write this the car has no bids, so I have no idea what that reserve might be. If this car is as good in person as it looks in the pictures and if the seller isn't looking for a stupid amount of money for it, this would be a really great car to bring to car shows. Located in North Hollywood, CA, click here to see the eBay listing. Crack pipe price. Judging by the floor mats, the owner is probably from Azerbaijan, made some dough here, and had a random car (maybe belonging to his extended family) shipped here for nostalgia's sake.